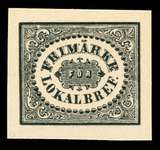 More Swedish price lists are coming soon, including stamp lists. 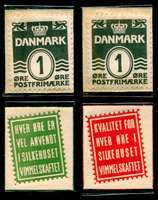 These pages (and the PDF and printed price lists) do not yet include the usual listings of "regular" Swedish stamps. I do have a very large stock of the stamps and I am happy to send stamps from your want list. I am sorry for the inconvenience, but if you will send your want list, I can help you! Sweden NEW ARRIVALS: New in stock, usually one of a kind; get them before they are gone. Labels on Covers: Advertising, Political, etc. Labels on Covers: Expositions, Fairs, etc. This section is still in preparation, but here is a small group of items that are also offered elsewhere on the site.